So The Lone Ranger comes out today, and I kind of feel like I already saw it. It’s a western by way of Pirates of the Caribbean, right? Same director (Gore Verbinksi), same producer (Jerry Bruckheimer), same star (Johnny Depp), and if the trailer is any indication, it will feature the same type of breathtaking, carefully orchestrated action sequences. Also, Johnny Depp will be funny and weird in a non-threatening way. Depp claims that he wanted to play the role because he saw it as an opportunity to depict Tonto as the Lone Ranger’s equal partner. Pretentious and self-aggrandizing? Perhaps. But Depp is correct about the long history of degrading Native Americans in film, and although his portrayal won’t lead to any improvements for Native Americans alive today, it should be studied in the context of other Westerns as representing our era’s particular values. See, most young moviegoers are likely unaware of this history of degradation in film because it took place in a genre that is virtually dead. Sure, there have been occasional western hits like 3:10 to Yuma (2007) and last year’s miniseries, Hatfields and McCoys, but it used to be that multiple westerns would come out every year. Now we are lucky to get a good one every decade. Why the Western is no longer relevant to our society is a question for another, much longer post, but here is the most important takeaway: because it was the dominant movie genre for the first seventy five years or so of the medium’s history, the Western has offered a window into our changing cultural mores. The difference between the depiction of violence in Stagecoach (1939) and A Fistful of Dollars (1966), for example, tells us much about how our perspective towards violence was changed by the Cold War and the Kennedy assassination. But the depiction of Native Americans in westerns may have changed the most over time. In the classical period, which essentially began with John Ford’s Stagecoach (1939), they were often shown to be nameless savages who provided a dangerous threat to the film’s white heroes. If they were name-checked, as Geronimo was in Stagecoach, it was only to strike fear into the hearts of the whites. These days, film historians agree that the depiction of Native Americans in westerns can be seen as a reflection of each era’s perspective towards a different oppressed minority, black Americans. Filmmakers were forced to use the Native American as a stand-in because of the Production Code’s strict prohibition on discussion of racial issues in movies. So while classical westerns like Red River (1946) and My Darling Clementine (1948) depicted Native Americans as murderous savages who posed an existential and physical threat to the advancement of Western civilization, this type of portrayal would become obsolete by the beginning of the Civil Rights Era. The Man from Laramie (1955), a classic Jimmy Stewart western, hinged on the killing of a white man by Indians, but the real villains were the white landowners who sold them the rifles. But it was John Ford himself, director of Stagecoach and many others, who offered the genre’s true mea culpa with The Searchers (1956). In that film, John Wayne plays a retired Confederate soldier who tracks the Comanche Indians who kidnapped his two nieces. Wayne’s character is defined mostly be his deep hatred of Indians, illustrated by his stated plan to kill his nieces if he finds that they have been assimilated into Comanche culture. It is a not-so-subtle depiction of the fear of racial miscegenation – a subject specifically banned by the Code – and Ford uses the metaphor to create a layered, critical portrait of racism and objectification. When Wayne refuses to kill his niece even after finding her married to a Comanche chief, it is a sign of his growing tolerance – and also a repudiation of abject racism. In the years since, the old tropes of the western have died. 1992’s Unforgiven subverted just about every convention of the genre, and no western since then has truly captured the zeitgeist. 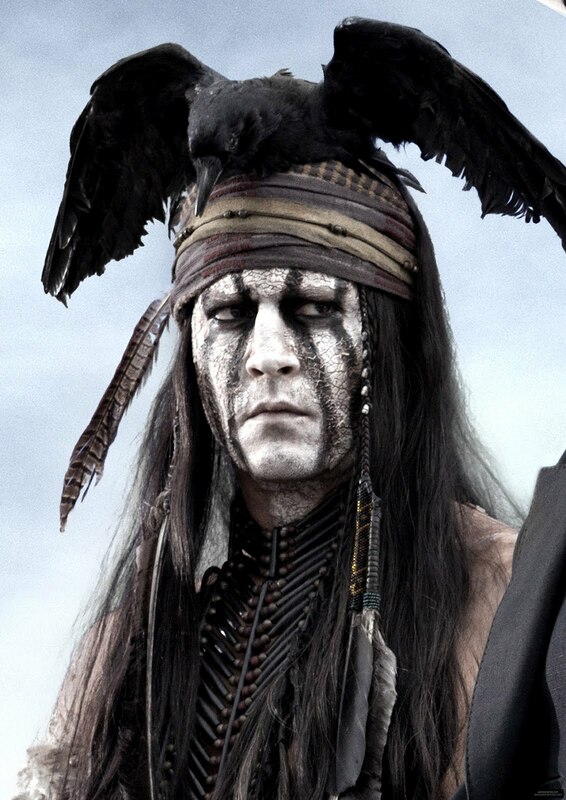 As for The Lone Ranger, Depp and Verbinski have gone out of their way to ensure that its depiction of Native Americans reflects a more progressive perspective. In order to avoid the controversy over Disney’s last foray into Native American culture (1995’s Pocohantas, which featured the much-maligned song, “Savages”), the cast and crew sought approval from Native American leaders at every step of the process. Tribal representatives were brought on set as “cultural advisers,” and Depp, who claims Native American ancestry, was even bestowed with the status of Honorary Comanche in a small ceremony in Arizona. I don’t expect The Lone Ranger to spark renewed interest in the Western genre. Pirates of the Caribbean didn’t lead to a run on pirate movies, unless you count the original film’s unending series of sequels. But as a cultural artifact, The Lone Ranger will have value. Whether or not you enjoy watching a Disney theme park put to film, this latest entry in the medium’s oldest genre will act as a representation of our era’s march towards universal equality.